I know, I know, she’s only nine and I’m not trying to be mean but it is clear this poor little girl hates doing interviews. She only gives yes/no answers [and it wasn’t just me, it was the same with all of the print press around me. Maybe she’s better on TV?] and clearly has zero interest so I don’t understand why her mother, who was with her, doesn’t just put a stop to it. She completely lit up and was giggling and having a great time as soon as she was done with press. I get that she’s an Oscar nominee and they want to keep her profile up for other parts but maybe be more selective instead of having her stop at every news outlet on a huge red carpet. Then at least some interviewers can get some interesting quotes and the nine-year-old can enjoy herself. 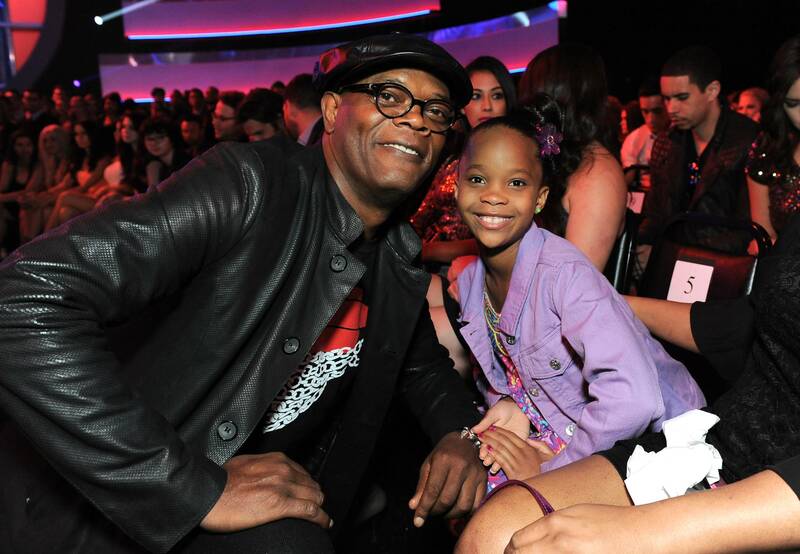 This entry was posted in Gossip and tagged MTV Movie Awards, Oscars, Quvenzhané Wallis, Samuel L Jackson. Bookmark the permalink.